Some say it’s a character flaw. Just say no. Others say it’s a victimization. Society has done me wrong. Alcoholics Anonymous says it’s a spiritual emptiness. Find your version of God, and you will find your way. Then, there are neuroscientists who say it’s a chronic brain disease while others say it’s a chronic societal disease. Addiction is the result of the brain doing what it does best – seeking pleasure or relief – driven by the evolutionary requirement of desire, according to Lewis. For those of us not conducting the research, we’re left scratching our heads. Where does the real answer to treating addiction lie? The confusion may be one of semantics. 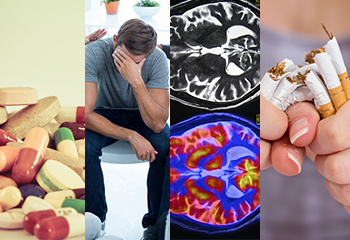 Addiction is the result of the brain doing what it does best – seeking pleasure or relief – driven by the evolutionary requirement of desire, according to Lewis. Yes, the brain is plastic and does change, as supporters of the chronic brain disease theory argue when an individual is addicted to drugs. However, Lewis responds that the healthy brain is in a continuous state of change as well, such as when we eat or sense fear. Indeed, that is the point of the brain – to be elastic so that we can cope with life’s many curveballs. Addiction, therefore, is the result of learning and development that leads to habit, not disease, according to Lewis. What is a disease model of care? This last sentence of the preceding paragraph suggests we may be getting caught up in semantics. What exactly is a disease model of care? Beacon Health Options in its white paper “Confronting the Crisis of Opioid Addiction,” outlines a very specific chronic disease model of care that includes six pillars, two of which – community resources and self-management support – address the very point that Lewis makes about being there when someone is ready to quit. Addiction, therefore, is the result of learning and development that leads to habit, not disease, according to Lewis. Lewis may be arguing what Beacon is arguing in its white paper, although he refutes the disease model of care. In other words, we need to agree on what that model looks like and what that term means. Lewis provides a program in England – Reach Out Recovery (ROR) – as an example of innovative systemic availability. In that program, shopkeepers, pharmacists etc. – trained in brief interventions – display a ROR sticker in their windows to indicate individuals with addictions can go there for help. Interestingly, that program is strikingly similar to one described in a Beacon blog post, in which postal workers on the English isle of Jersey are trained to check in regularly with the frail and elderly. Both programs tap into non-health care community resources to meet the individual when the moment is right. It’s up to the neuroscientists to decide whether addiction is a chronic brain disease, but it’s up to the rest of us to figure out the best way to treat it. Let’s be sure semantics don’t get in the way. Holy cow, finally a real medical professional comes out and takes a stand. I have said for years now that I believe that addiction is NOT a disease. I say this because people with Cancer, for example, can not go to a meeting or clinical and stand up and say, “Hi, I am Jim, I have Cancer. I am working with my sponsor to get rid of it, and with the help of others I am going to kick this Cancer habit.” I apologize if this seems kind of harsh, but no one with a real disease just woke up one day and said, “you know I think I am going down to the Cancer center and get me just a little Cancer”, or ” I know I have Cancer, but I can quit anytime I want to”. I am in a situation right now where because my wife was around an entire family that spent every waking moment playing cards or dice for money, when we go to a casino she is like a junkie looking for a fix, and if we go to a restaurant, instead of us having a nice conversation, she is up playing a machine or two, until the food arrives. she wolfs it down and then goes right back to playing a machine. However, I can eventually drag her away and get in the car and go home. I couldn’t just drag my 6 or 7 family members that eventually died from Cancer away from it, but it should would have been nice if I could have. It seems a disease does not cause the addiction but the addiction can become a disease. Motivational interviewing can be effective during certain windows of someone’s pattern of use.